In my experience, water damage is the most common type of home insurance claim. Sudden and accidental burst pipes can create tens of thousands of dollars in a matter of seconds. Burst toilet water lines, water heater tank failure, washing machine, dishwasher and refrigerator water lines, and any pipe coming into your home are the many opportunities each homeowner faces for potential water damage claims. Often times, these claims happen when we're not around and mold can begin to grow very quickly. It's vital to take action once you are aware of the water loss. Call your insurance company immediately to begin the restoration process. This type of claim is handled with the utmost of urgency because the insurance company knows how devasting mold can be in homes. Now, even though insurance companies jump on these claims quickly, doesn't mean your home insurance policy won't leave you sick when you have a water damage claim and potential mold. Here are my 3 Reasons Your Home Insurance May Leave You Sick. Learning that your home insurance policy "gives back" some coverage for Fungi but it's not enough and it's Limited. - Many insurance companies will "give back" a Limited amount of coverage, often times just $5,000. This coverage only applies when such loss a) are a result of a loss we cover that occurs during the policy period; b) are not excluded under Building Property Losses We Do Not Cover; and c) only if reasonable means are used to save and preserve the property from further damage. Learning that for a few more dollars a month you could have much more insurance coverage to fight Fungi after a water loss. - Insurance company advertising has so trained consumers to focus on price. The sickening part about this is that the small savings that you might get comes at a high price because of a lack of coverage at the time of a claim. Routinely inspect the pipes and water lines in your home. Take a few minutes to ensure that the lines are in good condition, not dripping or appearing with any cracks. 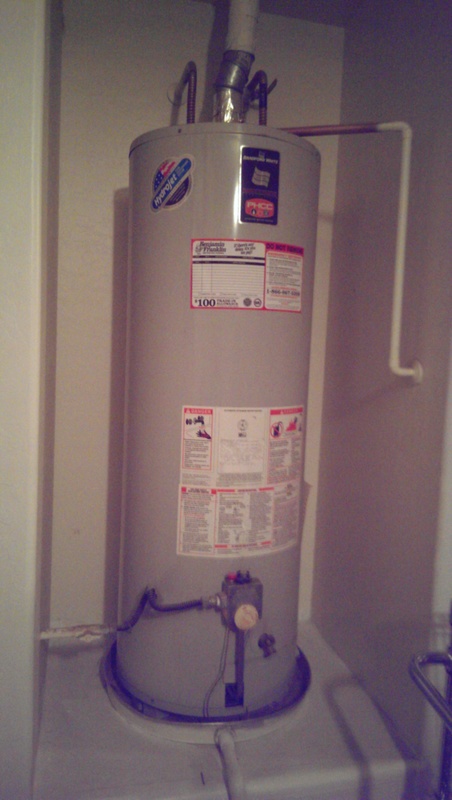 Follow the maintenance guidelines for your water heater to maximize its life span. If it's nearing the end of its life, replace it before it fails. Your home policy doesn't cover the damaged water heater anyway so be proactive and replace it before it causes serious damage to your home and property. Install FloodSafe® Connectors on all your toilet lines, faucet lines, dishwasher line, refrigerator line, and washing machine line. Learn more about these connectors here. Review your home insurance policy with an Independent Insurance Agent. We have a broad array of insurance companies and can custom tailor your home insurance to meet your needs. Most homeowners could have so much more coverage for very little money if they sought the counsel of an independent insurance agent. As always, if you have questions or would like to discuss your home insurance policy please call the office at (480) 336-2707. We're here to help! Richard Morris, an independent insurance agent in Gilbert and Chandler, Arizona, has been serving and helping Arizona families and businesses with all their insurance needs for over 24 years. Visit his website at http://www.southwestpremierinsuranceagency.com to see all the ways he can help you with your insurance needs or call the office at (480) 336-2707 or toll-free at (888) 907-9349. Connect with Rich on Facebook, Google+, and Twitter.